Unfortunately, there are many threats to the remaining wild populations of orangutans. 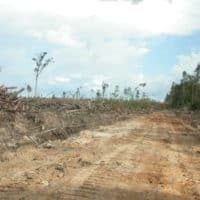 Deforestation for the benefit of oil palm plantations, mining, infrastructure, illegal logging, forest and peat fires, illegal hunting, and illegal wildlife trade are just a few of the threats against the wild orangutans. 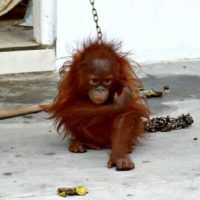 At Save the Orangutan, we categorise the threats against the orangutan as threats to orangutan habitats or as threats to the individual orangutan. All threats must be eliminated to save the critically endangered orangutan. If the orangutan species is to survive in the wild, protection and conservation of their natural habitats is a necessity. 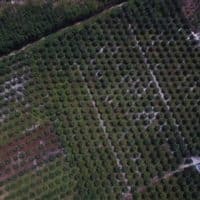 Unfortunately, several threats put constant pressure on the orangutan habitats. We have listed the biggest threats below. The primary threat to the orangutan’s habitats is deforestation for the benefit of oil palm plantations, mining, and infrastructure. 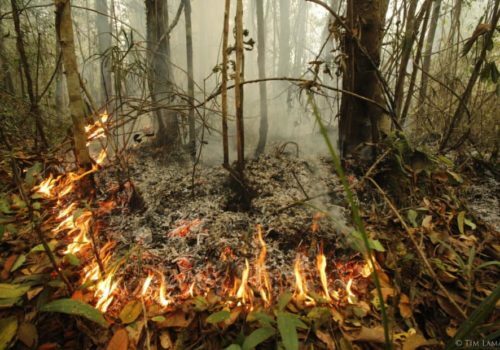 In addition, forest and peat fires degrade the forests further. Over 60 percent of orangutan habitats in Indonesia and Malaysia have been destroyed in the past four decades. Recent estimates show there may be less than 100,000 orangutans left in the world (IUCN Red List). Approximately 50,000-100,000 in Borneo and about 15,000 in Sumatra. Borneo and Sumatra are the only natural habitats of the three orangutan species. 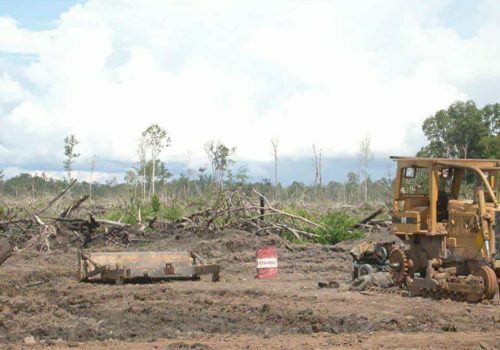 Recent estimates indicate an annual loss of 3,000-5,000 orangutans. Other threats that often go hand-in-hand with the degradation of the rainforest include illegal wildlife trade and hunting. These threats carry serious consequences for the individual orangutans. The orangutan often becomes an innocent victim in human-orangutan conflicts as a result of human development activities. We have listed the biggest threats to the orangutan arising from human-orangutan conflicts below. An annual estimate of 200-500 orangutans are sold on the international illegal wildlife market. The orangutans are popular as pets and in the entertainment industry. However, the actual number of traded orangutans may be even larger as the estimate only reflects international trade. The survival of the orangutan is threatened, and the threats grow larger and increase in numbers every day. 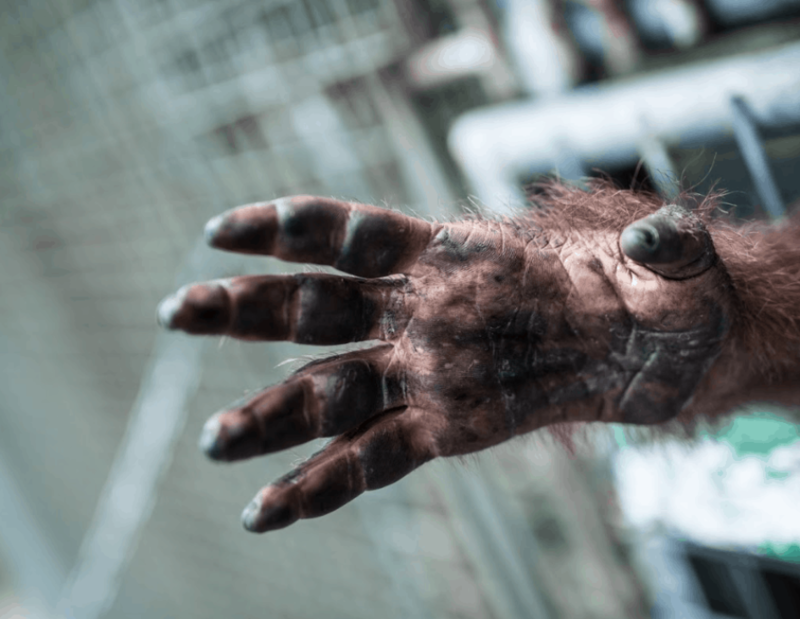 Some experts predict the wild orangutan will be extinct in 20 years unless the orangutan habitats are effectively protected, and the illegal hunting of and trade in orangutans are ceased. We use Mailchimp as our newsletter platform. By clicking below to subscribe, you acknowledge that your information will be transferred to Mailchimp for processing. Learn more about Mailchimp's privacy practices here.